University of Lagos, UNILAG supplementary admission list (UTME candidates) for the 2018/2019 academic session is out. The management of the University of Lagos (UNILAG) has finally released the supplementary admission list for the 2018/2019 academic session. Candidates that applied for UNILAG supplementary form can now check their admission status. How to Check UNILAG Supplementary Admission List. Successfully admitted? 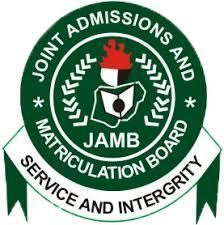 You’re advised to login to JAMB portal to either ACCEPT or REJECT your admission offer — How to Reject/Accept Your Admission on JAMB CAPS. SEE ALSO: University of Lagos (UNILAG) Registration & Screening Procedure for 2018/2019 Newly Admitted Candidates. Congratulations to all the candidates that made it to UNILAG Supplementary Admission List for the 2018/2019 academic session.